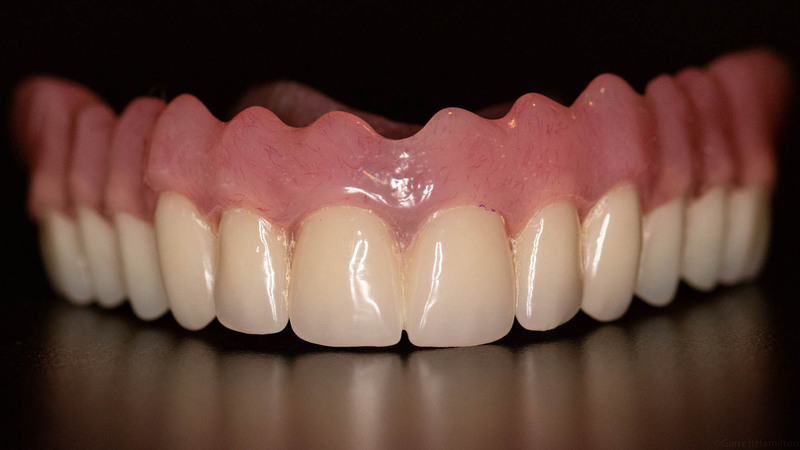 For patients seeking the most natural bite, chewing, and speech, we offer our fixed dentures package for permanent, non-removable denture prosthetics. These dentures are permanently fixed to dental implants and can only be removed by your dentist. 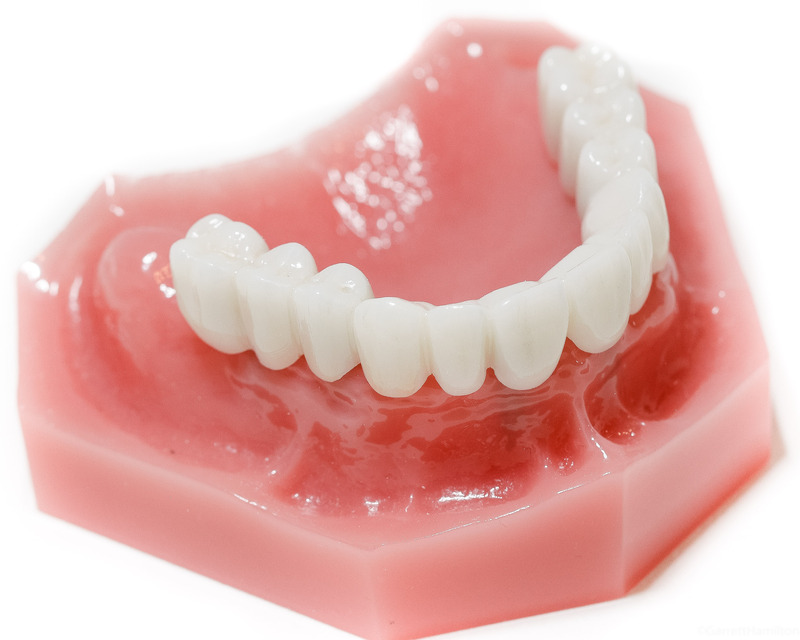 Our permanent denture packages are the top-of-the-line options for dentures. If you’ve suffered from severe pain, difficulty eating, and the embarrassment of missing or unsightly teeth – these permanent denture packages are simply life-changing. 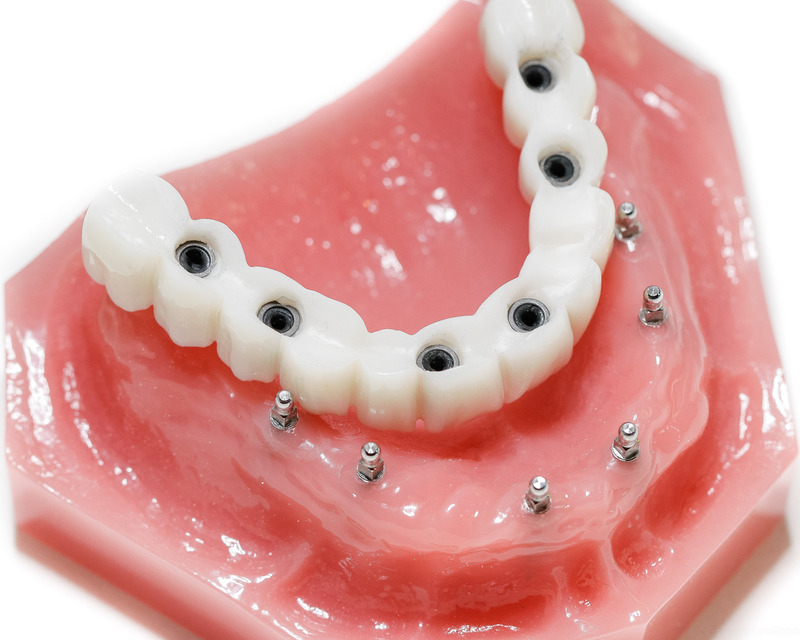 Our Huntline Special and PRIB packages require sets of temporary dentures and a series of appointments over three months following implant surgery to complete the prosthetic process. But with our fixed denture packages – this timeline is much more accelerated! Our computer-aided mapping of your jaw along with our fabrication and milling process make this possible. Learn more about how technology at Huntline Dental Group can benefit you. With our fixed lower package, you’ll get a permanent denture on your lower jaw screwed or cemented in place to dental implants. 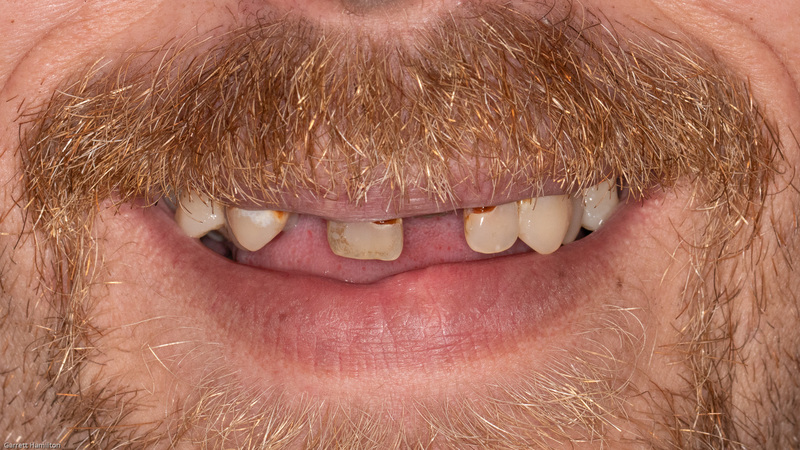 On the top, you’ll wear a traditional removable denture, if needed. Our patients are generally ecstatic with the outcome of the fixed lower package. You’ll experience superior stability, chewing ability, speech, and functionality. In addition, the implants in the lower jaw help hold the bone long-term. For patients with extensive bone damage, this is an excellent way to stabilize the jaw for long-term results. Our efficient technology helps us offer top-of-the-line packages at a lower price than our competitors, because we save thousands by bringing the entire process in-house! Prices for this package vary depending on the condition of the patient and amount of work needed. For accurate pricing, schedule a FREE consultation by contacting us today! With our fixed upper denture package, you’ll get a permanent denture on your upper jaw screwed or cemented in place to dental implants. 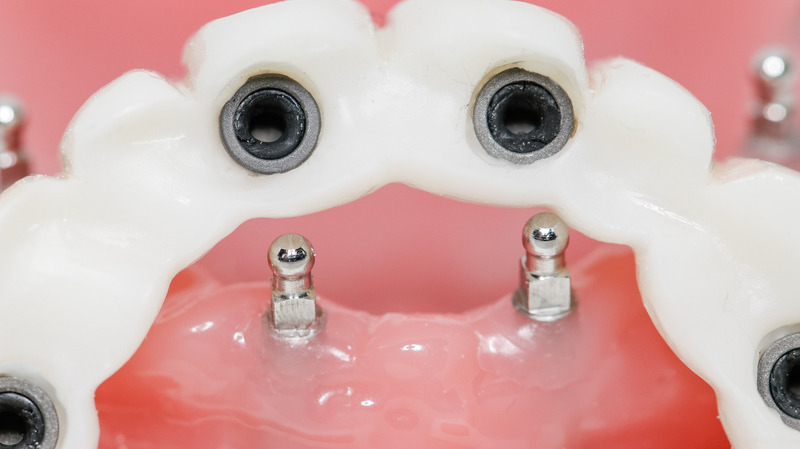 The cost is slightly higher for upper dentures because 1-2 more implants are required. This package is ideal for patients who are seeking an upper denture only and who can keep their lower teeth. 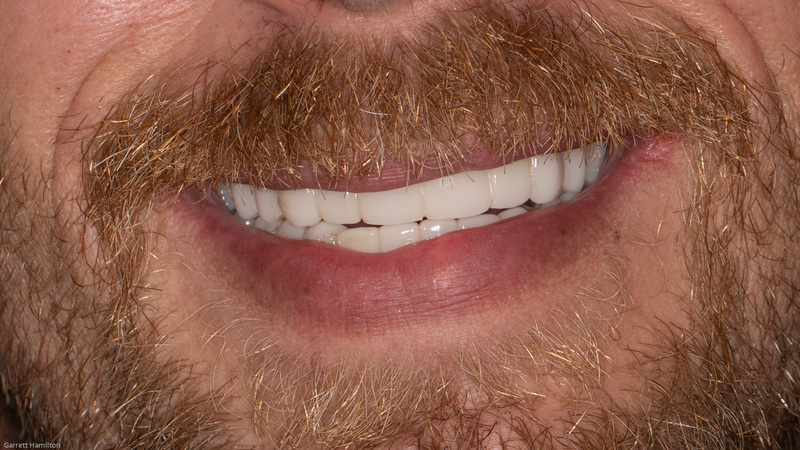 In addition to excellent stability, chewing, speaking, and long-term bone health, a fixed upper denture changes lives by creating an esthetically beautiful, radiant smile. Local market value for this procedure is $25,000+. 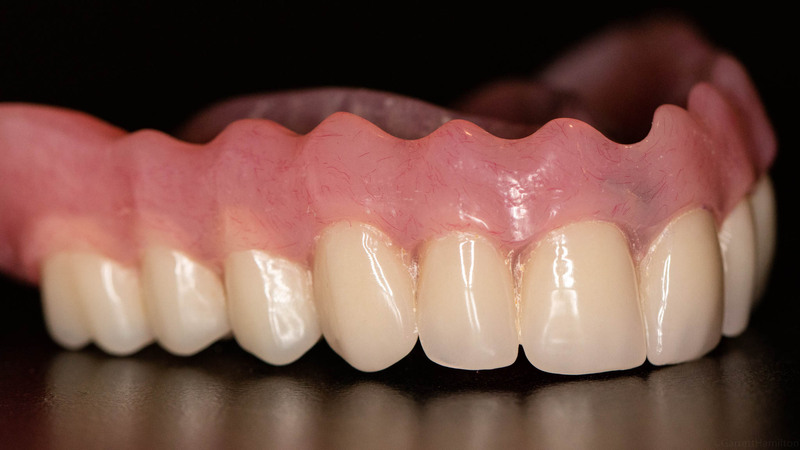 Our efficient technology helps us offer top-of-the-line permanent dentures for less, again because of our ability for making our prosthetics in-house. Permanent denture packages require specialized surgical approaches on different patients and prices are fully reliant upon the individual needs of the patient. No two patients are exactly the same, therefore we customize a specific case to precisely fit you! Call today to have Dr. Sam and his staff create a customized a plan according to your needs and give you an exact cost. Schedule your consultation with us – it’s free, and it includes imaging with CBCT and digital x-ray. The time is now to make an investment in your confidence, your quality of life, and your future. We’ll explain everything, from financing options, what to expect, and more. This includes 6-8 implants depending on the available none. 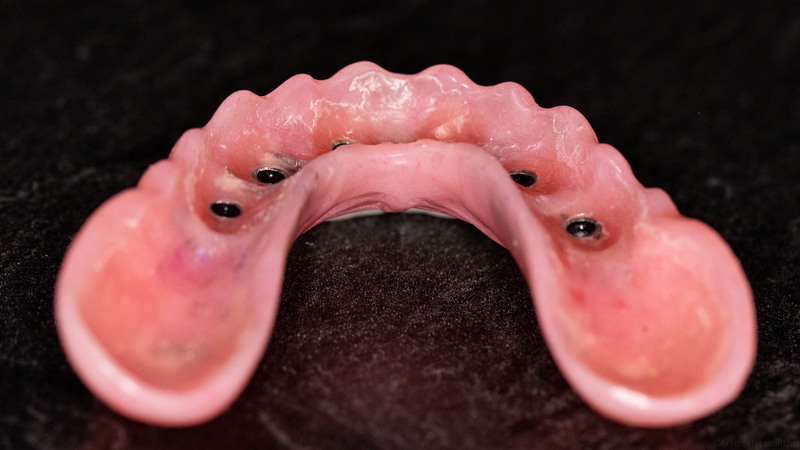 This is a rigidly attached hybrid bridge supported solely by implants and not soft tissue. It is, by far, the lowest profile option and most aesthetic. 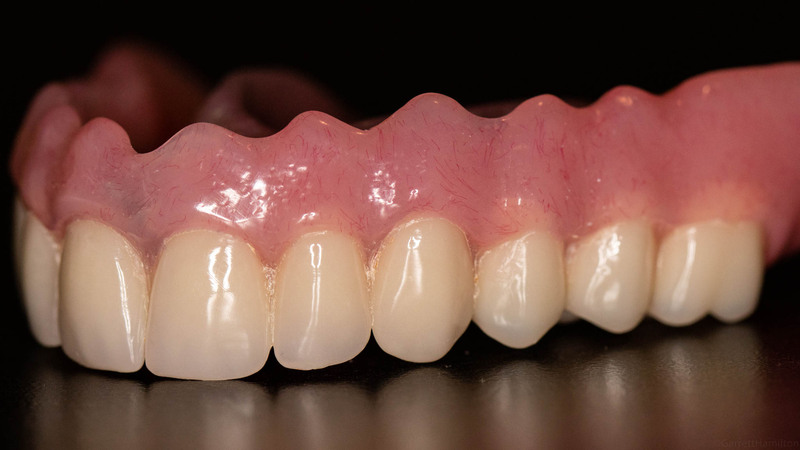 Zirconia is a beautiful and strong porcelain that will not wear like acrylic denture teeth, eliminating the need for remaking the denture in the future due to wear issues. The zirconia is so strong that we stand behind this option. If your bridge breaks, cracks, or fractures, we will fix it at no charge for 5 years, no questions asked! We also include 3-month recall visits where we will remove and clean your bridge and gums to ensure the long-term health of your implants at no cost to you! Please see Huntline Dental Group and ask during your consultation for more info on this amazing option!